The following brief post lists a number of field and other local minor names from Lindsey that make reference to folkloric and monstrous creatures inhabiting northern Lincolnshire, based on the collection made by I. M. Bowers in 1940 for her Place-Names of Lindsey (PhD thesis, University of Leeds). 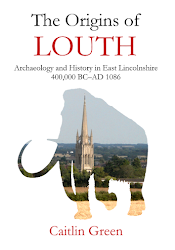 The majority of these names derive from medieval and early modern sources and suggest the existence of local folklore and tales, long since lost, focused on the pits, mires, fields, pools and mounds of the pre-Modern Lincolnshire landscape. Theodor Kittelsen's 1904 drawing of a nøkk, the Norwegian equivalent of the English nicor, mentioned below (image: Wikimedia Commons). 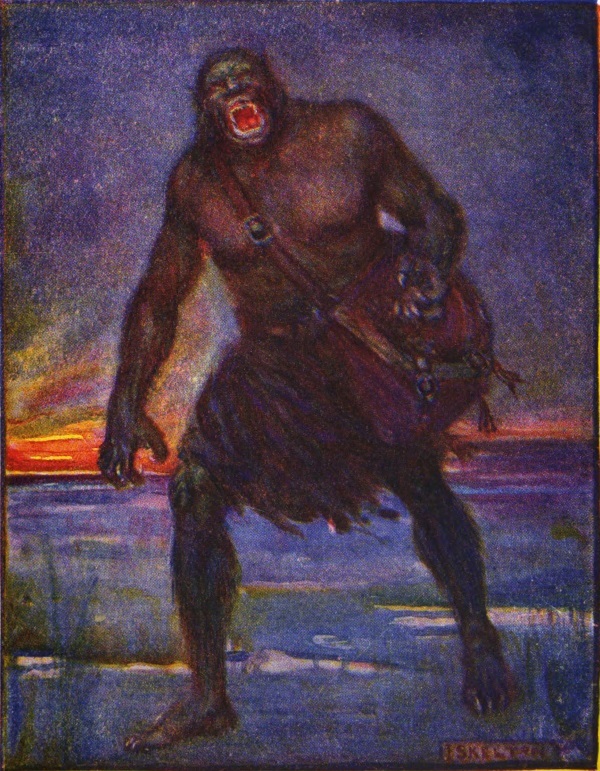 A word indicating a giant or similar monster with a dangerous or destructive nature; most famously found in the Old Norse compound hrímþursar, the 'frost giants', and as a description of Grendel in line 426 of the Old English poem Beowulf. 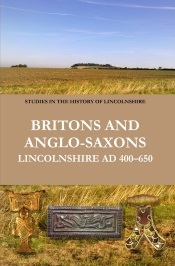 The names imply a number of features thought to be either inhabited by—or made by—such creatures in the medieval/early modern Lincolnshire landscape; note, the dates given below indicate the year in which the name is first documented. Thurspit, Alvingham (1579)—'giant-pit' or similar, cf. the Thyrspittes recorded in Foston, Kesteven (S. Lincolnshire) in 1280–90. 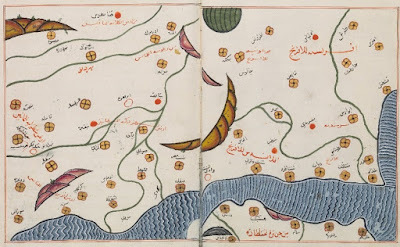 Thrusmyre, Edlington (1579)—a mire, Old Norse myrr, inhabited by a thurs. Thruswelker, Selby in Stallingborough (1200s)—literally 'ogre-spring-marsh' or similar, the final element being Old Norse kiarr, 'marsh, wetland'. Thursedale, Hemingby (1577)—the second element is either Old Norse dalr, 'valley', or deil(l), 'portion, share, part'. J. R. Skelton's 1908 illustration of Grendel, who is described as a þyrs/thyrs in Beowulf (image: Wikimedia Commons). A word for a water-monster or water-goblin. 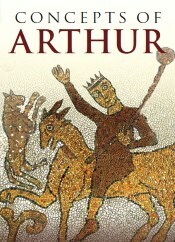 As above, this term occurs in Beowulf, notably in lines 422 and 575, where Beowulf relates how he has fought nicors. 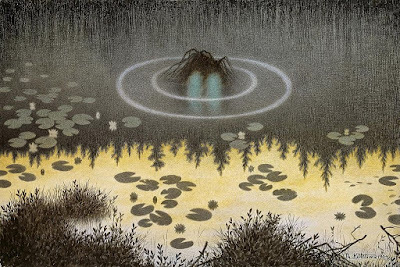 Both it and its continental cognates—such as the Old Icelandic nykr—appear to have been applicable to a wide range of 'water-monsters', including sirens, water-mermaids, hippopotamuses, half-human creatures and water-wyrms! 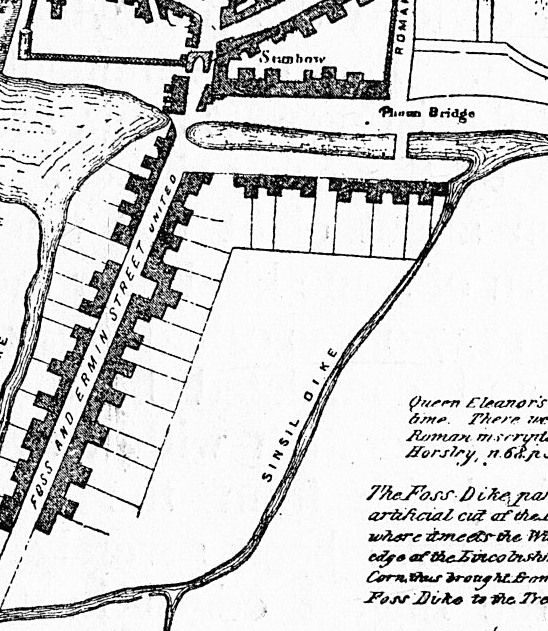 Nykarpole, Nychar-pool, Nicarpool, Lincoln (1409)—the pool inhabited by a nicor; the pool in question lay at the junction of Sincil Dyke and the Great Gowt. Compare Nicker Pool, Wimboldsley (Cheshire), first recorded in 1309, and Nicker's Well, Church Holme (Cheshire), first recorded in 1840. Stukeley's early eighteenth-century map of Lincoln; the Nicarpool is at the bottom of the image, where the Great Gowt met the Sincil Dyke. A word for a mischievous spirit or goblin; a hob in Northern and Midland English folklore was a rough, hairy, creature of the 'brownie' type, whose work could bring prosperity to farms but who could become mischievous or dangerous if annoyed. Household variants might be given new clothes to get them to leave forever, although other hobs lived outside in caves or holes. Hoblurke, East Halton (1200s)—self-explanatory; place where a hob lurks/lies hidden, perhaps particularly for an evil purpose. Hobbeheadland, Hobheadland, Halton Holegate (1601)—the headland, or 'place where the plough turns', where there is a hob. Hob Lane Yate/Gate, Scotter (1567)—hob + lane + Middle English gate/ȝate, 'a gate'. Hobbecroft, Theddlethorpe (1200s)—croft, 'small enclosure', with a hob in it. Hobcroftheade, Yarborough (1601)—as above + head, 'head, top', cf. Hobbeheadland. Hobhole Drain, the East Fen (1805)—name of an artificial drain made in 1805, running N–S across the East Fen; presumably references a pre-existing Hobhole, which is self-explanatory. Other local minor names potentially make reference to dragons, pixies, ghosts, shucks and warlocks. Drake Acers, Messingham (1577)—Middle English drake, 'dragon, huge serpent', from Old English draca, plus acre, 'field'. Pixsieacre, Pixsie Acre, Newton-next-Toft (1601)—the field inhabited by a pixie. Gasthehowe, Gastehowe, Ashby Puerorum (1200s)—Middle English gast/Old English gāst, 'ghost, dead-spirit', plus ME howe from Old Norse haugr, 'burial mound', so the burial mound haunted by a gast; note, the same parish also contained a place called dedmansgrave in the thirteenth century. 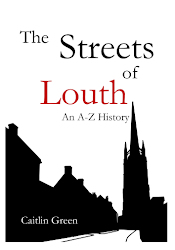 Shucdale, Haxey (1655)—Probably contains Middle English Shucke, 'demon, devil, evil spirit', from Old English scucca, plus either Middle English dale, 'valley', or deil(l), 'portion, share, part', referencing the area frequented by this creature. Wallow Farm, Wharloe, Warlowe Close, Salmonby (1577)—Although late, the name appears to contain Middle English warlowe, from Old English wǣrloga, 'traitor, oath-breaker, liar, devil'; the Modern English descendant of this word is 'warlock'. Warlocke Meare, Conisholme (1601)—as above plus mere, 'pool'.